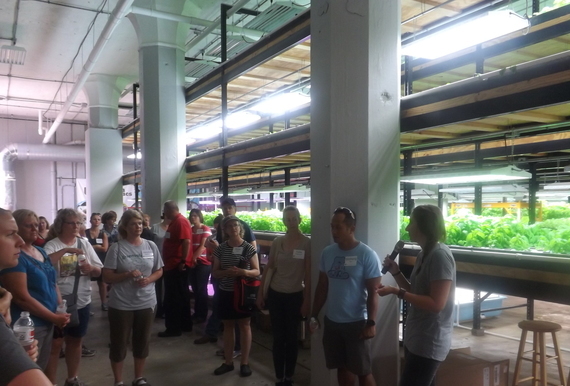 Participants in the 2015 MAITC Summer Teacher Tour explore Urban Organics. The Minnesota Agriculture in the Classroom Program (MAITC) is excited to offer two unique summer tours that allow educators to get a first-hand look into the world of agriculture. If you would like to see, smell, hear, touch and taste the agriculture, food and natural resources that allow for our survival, while earning CEUs and graduate credits, register today! Tour #1 - Minnesota Agriculture: Offering Something for Everyone July 25-26, 2016, 8 a.m. - 4:30 p.m. $25 Site visits inlcude: Leaf Line Medical Cannabis Production Center in Cottage Grove, Ferndale Free Range Turkey Farm and Market in Cannon Falls, a cooperative-based dairy farm, ride on a barge through Upper River Services on the Mississippi River in St. Paul, then Stakman-Borlaug Center for Sustainable Plant Health and the Minnesota Forever Green Initiative at the University of Minnesota St. Paul Campus. Tour #2 - Farm to School: From Seed to Plate August 8-9, 2016, 8 a.m. - 4 p.m. $25 Site visits include: Shakopee Mdewekanton Sioux Community Wozupi Garden in Prior Lake, Pahl's Market Garden Center in Apple Valley, Russ Davis Wholesale in Eagan, Pollinate MN in Minneapolis, Bare Honey in St. Paul, Farm to School Lunch in Hopkins, and a school garden visit. Why do you believe it is important for our teachers and students to be agriculturally literate? 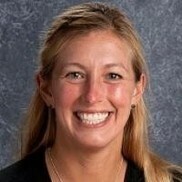 I believe that it is important for me, as a teacher, to teach and show my students agricultural literacy. One of the main goals of a health program is to provide students with the knowledge to make healthy decisions throughout their lives and no matter where their life takes them, agriculture will surround them and be a part of most daily decisions. 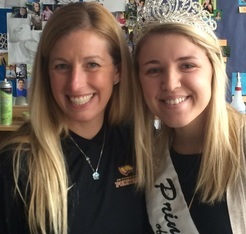 Princess Kay of the Milky Way, Kyla Mauk, was a special guest in Ms. Kennedy's classroom. The Jeffers Foundation supports educational opportunities for "teaching young persons the value of wise stewardship of natural resources... and insuring the conservation and preservation of natural resources." Fantastic workshops for educators and curricular resources are offered. 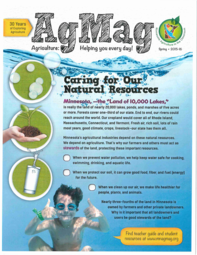 Check out their A Garden for Every School resources as well as Calendar in the Classroom lesson plans that use the Freshwater Society's Weatherguide Calendars. Congratulations to Neil Kruse for being the first person to respond with the correct answer to our February trivia question. Neil knew that the scientific name for field corn is Zea Mays. The other top five responders were Sara Britton, Nancy Roberts, Chrissie TenEyck, Maureen Hauck and Jacqueline Artymink-Moe. 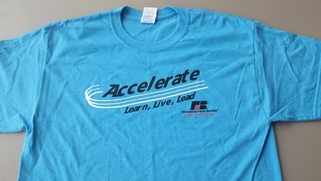 March Trivia - The first person to email the correct answer for the question below will win a t-shirt from Minnesota Farm Bureau. How long is the typical gestation period for a ewe?